Listen to Your Mother New York City is directed and produced by Holly Rosen Fink, Shari Simpson, Varda Steinhardt and Amy Wilson. The New York City show is Sunday, May 12 at 5:00 p.m.
Holly says, "Follow your own heart." 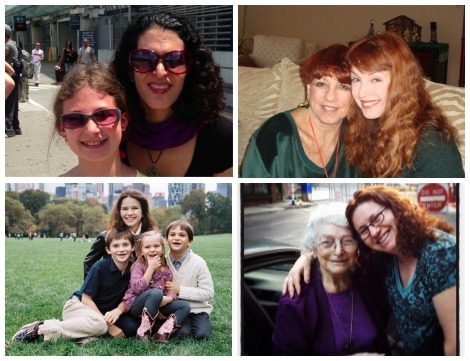 Shari says, "My mother, the famous (and infamous) Mama Rose, taught me to never let fear stop me from doing anything I wanted to do. Her example of courage set me on a path of adventure. I love my life and I love that crazy redhead — who will be turning 80 this year and is still burning down the house." The more of a perfect motherI try to be, the less of me my children get to have. 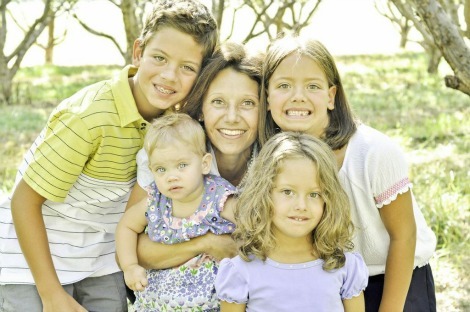 Amy says, "The more of a perfect mother I try to be, the less of me my children get to have. They don't care if their dinner is macrobiotic... they care if I played Monopoly with them." Varda says, "I don't know if it's because my mother (who recently passed at the age of 90) waited such a long time to become a mother — she had me at 38 — or if it was just who she was, but she took so much joy in motherhood and she passed that along to me. She felt like I was a gift, and she communicated that to me in every way possible. Even when I was a horrible eye-rolling teenager, and know I must have been a total pain to parent, she looked on me with love and tolerance, and any irritation she had with me was passing, easily let go by day's end. I try to parent my children the same way. Every night I put them to bed, telling them: "I will always be your mother and I will always love you." I hope they know how much I mean it, as I knew throughout my whole life that my mother loved me with all her heart." Listen to Your Mother Northern Utah is directed and produced by Heather Ann Johnson. The Northern Utah show is Thursday, May 9 at 7:00 p.m.